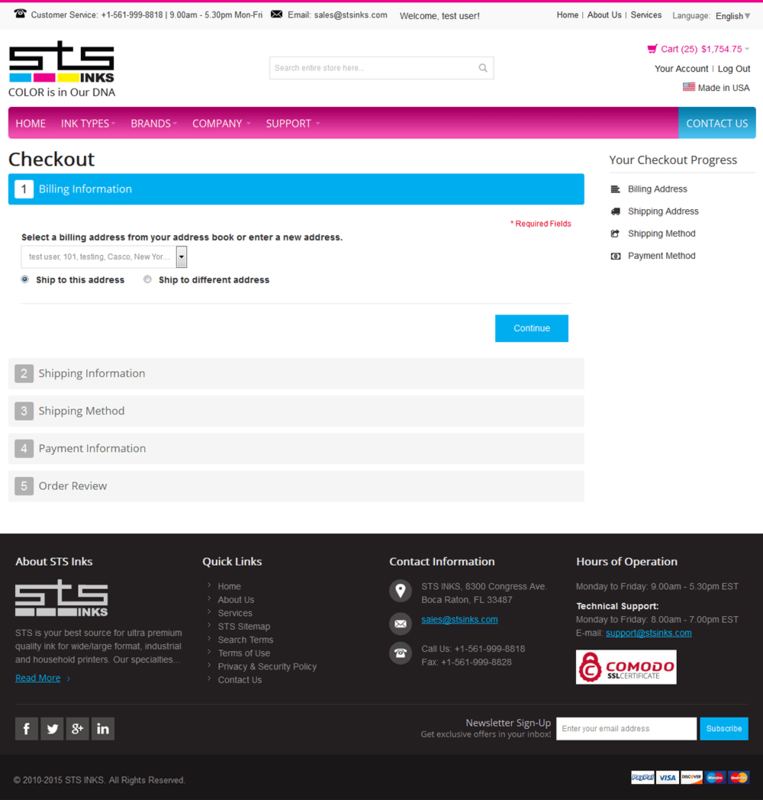 With its solid history, STS has pioneered the field of Inkjet printing and Ink technology. 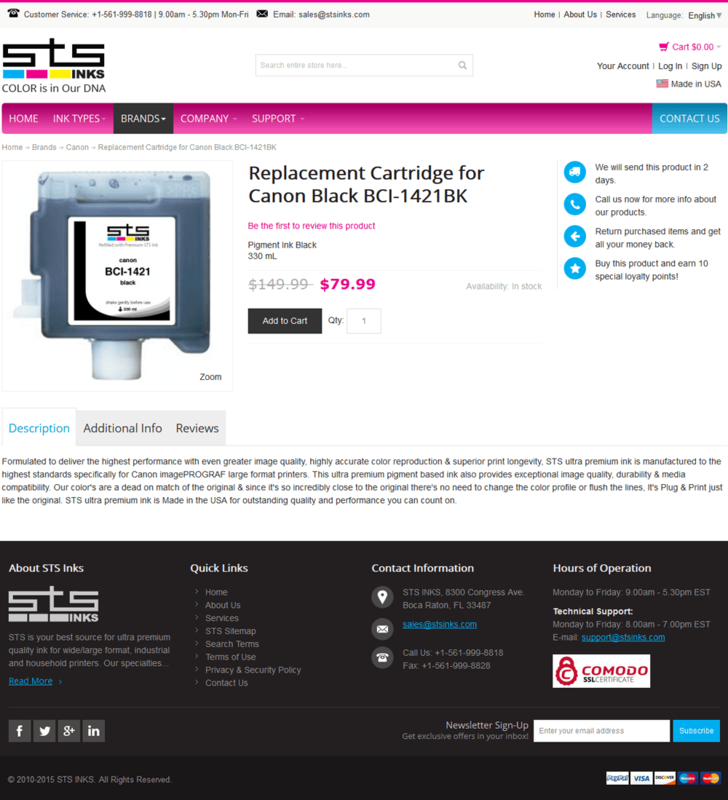 The need was ecommerce software that was powerful as well as flexible to the specific ink search requirements that included compatibility information and quick access directly to the cartridges required by the customer. The ink business is different from normal retail stores, the customer knows what he wants to buy and must get to the product quickly. Cross selling is limited and if the product is not found there are no alternatives to be displayed. The Magento platform was chosen to be the foundation of the solution, we customized Magento to meet specific requirements and made changes to improve system performance. The backend was modified so entering 1000s of ink compatibility attributes is seamless and quick. Pulse designers built up a theme that matches the needs perfectly, the website is clear in its purpose and transfers the message in seconds to a prospect. Users know exactly how to get to the ink they need and what the compatibility information is, purchase process is seamless and quick. STS Is a leader in wide format inks for Mutoh printers, wide format inks for Mimaki printers, and wide format inks for Roland printers. Visit STS today for a great deal on Wide Format inks!